1) This paper was presented at FIG Working week, 6-10 May 2013 in Abuja, Nigeria. This paper focuses on surveying of land and the base infrastructure needed for surveying task. It shows how geodetic marks may be replaced by new infrastructures like active control networks. Apart from the technical basics, it outlines the economic benefits with respect to costs and surveying instruments available to local surveyors. Access to land, improving land use and mapping are all dependent on that land is mapped and surveyed. This presentation will focus on surveying of land and the base infrastructure needed for the surveying task. The authors will show how geodetic marks may be replaced by new infrastructures like active control networks (e.g. GNSS CORS networks). Apart from the technical basics of these networks, the economic benefit of a CORS network will be outlined with respect to costs and surveying instruments available to local surveyors. Another focus is on the cost-effective use of surveying instruments and the use of cost-effective instruments (e.g. low-cost GNSS). The authors will present a decision table on the base of accuracy, availability and costs to decide for instruments and procedures for different tasks as 1D, 2D or 3D surveying. Consequently the use of technology is dependent on the purpose of the survey as well as the technique available. Not always is the low-cost or the most modern technology the most appropriate. The authors talk about the cost-effective positioning technology and give different examples, e.g. low-cost GNSS receivers for data acquisition, RTK-GNSS for cadastral issues or highly precise total stations for engineering survey tasks. A modern alternative of positional sensors delivering point measurements are sensors delivering spatial measurements like terrestrial laser scanners, camera systems and ground-based radar. Here, the object will be acquired completely and not only chosen points. The disadvantages may count the high investment costs and the required specialized knowledge about the evaluation and data analysis. The main advantage is the availability of a huge amount of data that may serve different purposes in the future e.g. facility management or new planning procedures. Another idea for cost-effective positioning is kinematic data acquisition. In this case the spatial measurements are taken from moving platforms like vehicles. Besides the positioning of the moving sensors, the area measurements are used to create models for facades, streets or even complete cities. The presentation will give an introduction to kinematic data acquisition, the so-called mobile mapping, and compare it in a technical and financial point of view to normal surveying work. The final outcome of the report will give hints to decide for an appropriate spatial positioning technique for a given task or application. The method may be classical point measurements, static or kinematic area measurements; in any case positional infrastructure is needed for any positioning tasks. The costs of e.g. personnel and hardware in surveying is always discussed, no matter if it is done in a developing country or in a developed country. There is always a need to minimize the costs and maximize the outcome but still meeting the projects’ requirements. As a part of this, there is a need to use a technology that is as efficient as possible to accomplish the task. For a mapping authority it is important to not only see each project separately but to make sure that the national geodetic infrastructure is as cost-effective as possible also for a longer period of time. This means building up a geodetic infrastructure that is harmonized with the surrounding countries as well as accessible for the local users. Different techniques vary in investment costs as well as in maintenance and use. However, the cheapest technique is not necessarily the most efficient and therefore not the most cost-effective one. Different types of projects and environments also demand different techniques. This paper will shortly discuss different surveying techniques in terms of cost, need of infrastructure and more. The paper will not give a clear answer for all types of use and instruments, but hopefully help a decision maker to understand the possibilities of the surveying professionals. It is also important to understand that several of the modern surveying techniques as DGNSS and RTK all need a certain level of infrastructure. Not only in terms of accessibility to the reference frame but also in terms of e.g. mobile phone coverage, power, and roads and so on. The aim of surveying and of all other positioning tasks is the determination of point coordinates. Historically it can be distinguished between 1-dimensional meaning height networks, 2-dimensional meaning horizontal networks as well as true 3-dimensional networks. State survey has separated height and horizontal networks since global 3D measurements were not possible and since the height information is not purely geometrically defined. The 3D networks were mainly used for local applications only. In the last 25 years GNSS leads to the possibility of 3D global coordinates, only gravity information has to be added to get the correct height information (e.g. Seeber, 2003). In general, the surveying instruments are used to measure the coordinates indirectly. 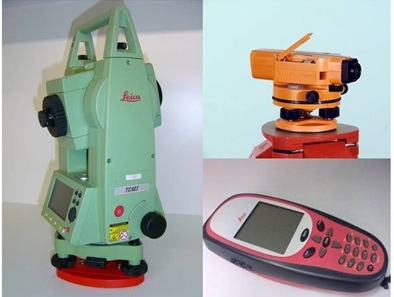 Examples are the total station (tachymeter), the level instrument and the GNSS receiver. The first one measures distances as well as horizontal and vertical angles resulting in 2- or 3-dimensional coordinates. The standard deviation of the determined coordinates varies from some cm to sub-mm depending on the instrument chosen and the measured distance. A total station may be automated; in this case it is called robotic. The level instruments can only be used to determine heights by delivering the height differences. The accuracy level is between 5mm/km double levelling up to 0.3 mm/km double levelling again depending on the instrument and equipment chosen. The distance between points should not exceed 100 m for low level accuracy and 30 m for highest accuracy level. GNSS receivers deliver 3D-coordinates based on distance measurements to 4 satellites minimum. For survey grade receivers phase information of minimum two receivers are used simultaneously, thus in general leading to a superior accuracy compared with navigation grade receivers (see following section). The coordinate standard deviations show values from some cm to mm depending on the processing technique and the real time requirement. The technique supporting this accuracy level is called Precise Differential GNSS (PDGNSS). Real time solutions as well as post-processing strategies are supported by positional infrastructure described in section 4. The precise differential real time solution is in general called Real Time Kinematic (RTK). (Deumlich & Staiger, 2002) Figure 1 presents a total station, a digital level and a survey grade receiver, all of them showing the highest accuracy class. Figure 2 shows the same for low accuracy instruments. Since the authors will discuss cost-effectiveness in this article, some figures regarding costs are given in the following. Please note that these are approximate informative figures with no connection to the above illustrated instruments. Correct values have to be determined in a detailed market survey. The costs for total stations range from 8 000 € for a low level construction grade up to a 30 000 € for a highly accurate robotic total station. Level instruments vary from 2 000 € to 10 000 € including the equipment (like rods). GNSS receiver price interval begins at about 8 000 € for a 1-frequency survey grade receiver up to 20 000 € for a 2-frequency RTK receiver. First the authors have to address the question of the definition of low-cost. In the sense of this article it is meant that the cost will be at least lower by a factor of ten with respect to the survey grade instruments of any kind described in the previous section. The authors will not describe traditional surveying methods like distance measuring by taping, since these techniques cannot be automated and will therefore in no case be cost-effective in the future. Regarding current new technologies, the only instruments to be described in the low-cost sector are navigation grade GNSS receivers. 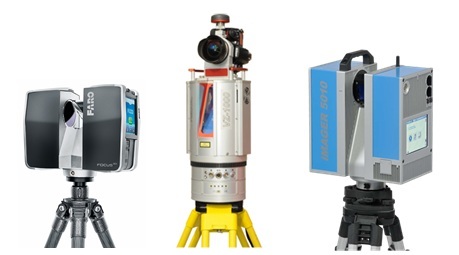 Total stations and level instruments have no low-cost equivalent. At the end of the section the authors will also briefly deal with the idea of positioning using mobile phones or even smart phones that are an interesting alternative for some applications. As stated in section 2, geodetic GNSS surveys are based on high-quality GNSS receivers and antennas. Frequently, the surveying community uses dual-frequency receivers to solve the ambiguities faster and more reliably. In the last few years, single-frequency survey receivers have proved to work very reliably provided that baseline lengths are below 10 km to 15 km. This opens up the market for receivers that are used for navigation, since these receivers generally have a single frequency. In general, navigation type receivers do not use the phase data. This problem is overcome by some manufactures, which provide access to the code and phase measurements from the raw via a serial or a USB interface. Some of the manufacturers (e.g. u-blox) are officially documenting their format. Many navigation type receivers integrate low-priced, simple antennas directly into their receiver box, while other receivers are simply connected to an external antenna via a cable. In the latter case, the antenna may be fixed on the roof of a car using a magnet on the antenna casing. Portable antennas usually range in price but start at several €s. In general however, an antenna and a receiver are sold as a package (Weston & Schwieger, 2010). The performance quality of navigation type receivers can be improved by using precise geodetic antennas. In this case the cost-effectiveness is clearly reduced. 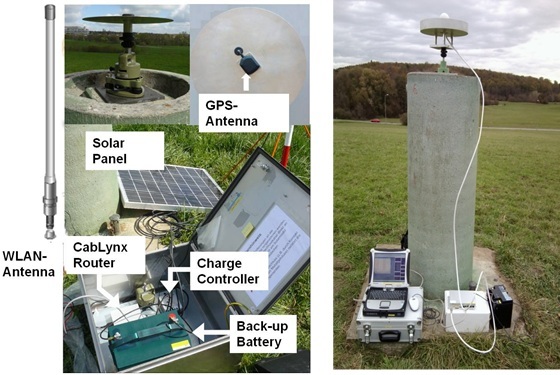 Figure 3 presents the combination of a u-blox low-cost receiver with a charge controller, a battery, a W-LAN router as well as the antenna together with a choke-ring produced at the Institute of Engineering Geodesy at the University of Stuttgart (IIGS). The position standard deviation may reach more or less the same values like survey grade one-frequency receivers, meaning the mm level (Zhang & Schwieger, 2013). Currently the influence of the choke-ring is investigated at the IIGS. The costs for a complete system including the above equipment is around 2 000 €. A choke ring increases the costs significantly. Other low-cost instruments that may be used for positioning are mobile phones or smartphones which are able to determine the position through the mobile phone network or simply by using a built-in GNSS chip. For GSM network positioning standard deviations between 30 metres up to some kilometres occur, depending on the methodology (see e.g. Schwieger 2007). Relying on the built-in GPS chip delivers standard deviations of some meters with possible outliers up to the hundred meter level. For all these tasks the problems of centring the instrument and the coincidence of mechanical centre and electronic antenna centre need to be solved and restrict the accuracy respectively. Using so-called assisted GNSS (A-GNSS) for the differential case one may reach a more reliable accuracy numbers at the same level. If phase data would be included, standard deviations on the low-cost level could be reached provided that the mentioned centring and centre problems can be solved. Up to now this has not been implemented by the mobile phone providers, but it would be possible to do so (Wirola, 2008). The costs for mobile phones or even smartphones can be estimated to zero, since is already the standard for any person working in the field. 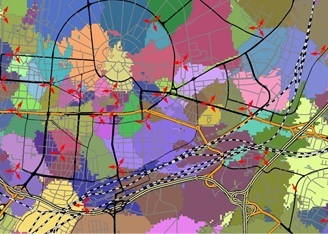 From a spatial information perspective, it is common for spatial datasets and geographical information data to extend over national or regional boundaries and for the global surveyors or organisations across continents. In this situation it is necessary to have a common reference frame for the collection, storage, visualisation and exchanging of information. The harmonization, not only nationally or regionally but globally, is very important. ITRF is the most accurate reference frame that existing worldwide. ITRF is defined by the International Earth Rotation and Reference System Service (IERS). The present trend is that more and more regions as well as countries are using a solution based on ITRF. Reference Systems (ITRS) are computed at different epochs and the solutions are called ITRF. WGS84 or the World Geodetic System 1984 is the geodetic reference system used by GPS. It was developed for the United States Defence Mapping Agency (DMA), now called NGA (National Geospatial - Intelligence Agency). Although the name WGS84 has remained the same, it has been enhanced on several occasions to a point where it is now aligned on the cm-level to ITRF2000 at epoch 2001.0 (Schwieger et al., 2009). The International Committee on GNSS (ICG) was formed as a result of recommendations of the UN Committee on the Peaceful Use of Outer Space (COPUOS), ratified by the General Assembly of the UN. The permanent secretariat for ICG is situated at the United Nations Office for Outer Space Affairs. As part of the role of ICG, the web portal of ICG (http://www.oosa.unvienna.org/oosa/en/SAP/gnss/icg.html) reports on the current situation regarding the development of the various GNSS as well as their alignment to ITRS. It is very clear that interoperability between the GNSS is important. A GNSS receiver in the future will be able to use the signals sent from the different GNSS. A Continuous Operating Reference Station (CORS) is a permanently installed geodetic quality receiver and antenna that is positioned over a monument or point which collects GNSS data 24 hours a day, every day of the year. Today it is very common that an organization establishes a number of stations in a network. More or less every country has at least a network covering the major cities. Several countries also have networks covering the entire nation. The majority of the developed countries do have it, but also a major number of developing countries have so, too. The CORS network is used to define the reference frame in the specific country and this reference frame should be aligned with the international ITRF. A surveyor working with GNSS receivers can use the information from a CORS to position points. A CORS can also be used for long-term studies geodynamic effects as well as climate change. A modern form of using a CORS network enables positioning accuracies that approach one centimetre or better, even in real time relative to a worldwide network, such as the ITRF, or to a local network. For all practical purposes, the ITRF based geodetic datum and WGS84 are the same for the epochs defined. The difference is below the cm-level for each coordinate. As a consequence it is very rare that the reference frame for GNSS CORS (Continuously Operating Reference Station) networks is not based on ITRF. For GNSS real time positioning (RTK) as well as for direct positioning using mobile phones (compare sections 2 and 3), this network has to be available and accessible. Although it is not regarded as positional infrastructure at a first glance, it has to be accepted as positional, too. Figure 6 shows the typical structure of a GSM network including different colours for different cells that are the base in any case for some of the positional information available within the network. As stated above it is important to get access to positional infrastructure, since a global or national unified datum is only possible through this infrastructure, e.g. cadastral measurements with legal involvement are only valid if they are referred to the national datum. Additionally, there are positioning techniques needing the infrastructure as an essential part for the positional task, like the GNSS RTK measurements or the positioning through the mobile phone network. This means that the access to positional infrastructure is important for the surveyors, but also for any other user that needs to position. There are two levels of access: the post-processing level (access to Reference Frame, e.g. 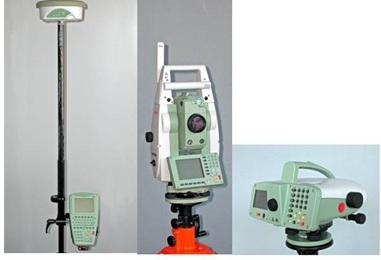 total station or normal PDGNSS) and the real time level (access to networks, e.g. RTK and mobile phone positioning). The access may be not possible due to lack of infrastructure or due to high access costs for the users, like fees for the information itself as well as for the communication. It is important that the infrastructure is built up nationwide and worldwide and that the access is possible with no or very low costs, so that positioning can be realized homogeneously and cost-effective (compare section 6). The cost for a user mainly consists of the fees of the network provider and possibly the costs for communication (e.g. based on a mobile phone contract). In the last ten years the point-wise data acquisition has been complemented by area-wise or better spatial measurements. The most important is Terrestrial Laser Scanning (TLS) showing a strong practical importance for cultural heritage applications, documentation of industrial complexes or railway environment as well as typical engineering tasks like tunnel convergence measurements and the documentation of road damages. Laser scanners measure two angles and the distance to non-marked points. The data rate can be more than a million points per second and the spatial resolution may reach the mm level for distances below 100 m. The range of instruments depends on the measurement principle: the phase comparison scanners are restricted to around 160 m. In contrast, impulse scanners reach a maximum distance of 4 km. But these values really depend on the products. Nowadays, the standard deviation for individual points is between one mm and one cm. Phase comparison scanners show the best values. Figure 7 shows three recent terrestrial scanners. The main advantage of the laser scanners are their spatial features. This means that lines, surfaces and bodies are acquired without the need for a person of touching the object to be surveyed. With other words, the whole object can be acquired, documented, analysed and visualized. On the other hand it is more difficult to measure marked points (e.g. only by spheres). This means, the scanners cannot, or can only be used with severe difficulties, for point positioning for surveying or geodetic tasks like cadastral surveys (e.g. Staiger, 2003). The investment costs vary from 30 000 € to 100 000 € including equipment and software. Other spatial acquisition methods are terrestrial photogrammetry and the new technology ground-based radar. In principle, the well-established photogrammetric method delivers the same spatial data as TLS (point clouds) with a slightly lower accuracy in most configurations. Ground-based radar is still within the development phase and needs special arrangements to get spatial data. Currently, it is well suited for detection of movements in one direction with a very high accuracy in the mm level (Rödelsperger. 2011). For all these techniques the access to reference frames is important, as long as the acquired object shall be integrated into global or national maps or plans, which is the case for most of the surveying tasks. Besides, the time to acquire complete objects is much shorter with respect to point-wise measurements. The draw-backs are the enormous data volume (360°scan with highest resolution: 10 GB acquired in 1h 20 m) and the high time exposure for processing, analysis, and modelling of the acquired data. In general one assumes that processing takes longer than data acquisition by a factor of three to five. Spatial data acquisition is the first step to speed up the acquisition in the field. The next step is to move the sensor or the multi-sensor system (e.g. Schwieger, 2012) during acquisition. Additionally, the acquisition is continuous and needs synchronisation of the different sensors. The general term for this kind of measurement system is mobile mapping systems. In general, these systems are mounted on a car or a van consisting of several laser scanners, cameras, and video cameras for spatial data acquisition. Access to the reference frame is guaranteed by GNSS - inertial measurement unit combination and by acquisition of reference points with known coordinates. Besides, the carrier of the acquisition system can be a satellite, an aircraft, an unmanned aerial vehicle (UAV) or a railway carriage. Additionally a new development shows that a laser scanner can be carried on foot by a single person. The most interesting current development are the UAVs mainly carrying a camera and some positioning sensors like GNSS or IMU, as the payload is restricted to some kilograms. In general, the standard deviations and the spatial and temporal resolution correspond to the static spatial acquisition methods. Naturally, the results depend on the integrated sensors and the integration method of the different sensor information like loosely or tightly coupled Kalman Filter. The time exposure during data acquisition is further decreasing, whereas the processing exposure is increasing with respect to time and complexity. It has to be stated that these tasks can only be fulfilled by specialized companies one has to contact. A standard surveyor cannot built up this complex sensor integration nor realize the complex data evaluation. In this section the authors have to discuss the term of cost-effective at first. This term should be defined in the way of fulfilling the requirements with lowest available costs. These requirements may be the accuracy, e.g. given as standard deviation, or other quality measures. Also the time may be specified by a given deadline. In this case, costs or even accuracy may be less important. Other requirements may be a compulsory special procedure or acquisition method, e.g. point-wise GNSS determination or spatial object determination by TLS. It is very important to mention that the investment costs are only one part of the budget. Highly important are the personnel costs that vary definitely among different countries, e.g. developed and developing countries. So, cost-effectiveness may look quite different for different countries. Furthermore, the cost-effectiveness may even change in dependence of the salaries and therefore the personnel costs, when a developing country transforms into an emerging economy and finally into a developed country. Consequently, the following table can only give rough ideas for decisions with regard to instruments and surveying methods to fulfil the requirements cost-effectively. This chapter highlights the economic benefits associated with the reduction of working or investment costs by implementing the above mentioned techniques. In the following approximated values and intervals are introduced for personnel. The authors use an interval from 1 € per hour (lowest level, developing countries) to 70 € per hour (developed countries) to get a rough estimation. The costs per year are roughly computed by 20 working days a month and 8 working hours a day. For the investment costs the authors assume that the instruments are used for five years, meaning that the investment costs are divided by five to get the annual costs. For example a geodetic dual-frequency receiver having a price of 20 000 € results in 4 000 € operational costs per year. The simplest decisions can be taken in case an accuracy requirement is given and the different instruments need the same personnel for operation. In this case the investment costs are the only relevant costs. A good example would be the use of a non-motorized total station for staking out. In this case it makes sense to use the instrument with the lowest costs in case that it reaches the required accuracy. For example a total station showing an angle measurement standard deviation of 0.3 mgon and a distance measurement standard deviation of 1 mm is superior to one with the respective values like 3 mgon and 5 mm. However, if one has to reach e.g. a 2 cm point standard deviation, the total station with the lower accuracy is sufficient and by the way more cost-efficient. This will become more complex if the superior total station is robotic and only one person is needed to carry out the survey. In the non-robotic case one would need two persons to conduct the survey. Here, personnel costs are coming up. The decision whether the investment for a robotic station is cost-effective depends on these costs. The same is valid for GNSS measurements. First the authors only have to look at the price of GNSS receivers (2 frequency survey grade, 1 frequency survey grade, low-cost). In a second step, using CORS or CORS networks will economize the costs for one receiver and the personnel costs for one worker. This has to be compared to the costs for the communication and the CORS network fees. The estimation which variant is more cost-effective is realized afterwards. Table 1 shows a very simple decision matrix in which one can enter with the standard deviation required and look for the instrument delivering such accuracy. For example for a requirement of 2 cm a type A instrument is sufficient and consequently the most cost-effective way to perform the measurements in case that the office has enough work for this accuracy level. If most of the tasks need 0.5 cm or even more the purchase of a type A instrument is not reasonable. This matrix is formally valid for different kind of instruments like total stations and GNSS receivers or even level instruments. To fill this table with concrete data is not useful since the figures will vary at least on an annual base; everybody can do this task based on data that is available to him. The same is valid for the numerical values of the standard deviations; these are depending on the instruments available and purchasable. The second case is applicable to methods where personal competes to investment costs, e.g. motorized total station economizes one person or additional fees compete with investment or/and personnel costs e.g. RTK with or without CORS. Table 2 shows a possible decision matrix including the most important cost factors. The assumed investment costs for this table are 25 000 € for a total station, 30 000 € for a robotic station, 20 000 € for a survey grade GNSS and 2 000 € for a low-cost GNSS system. The authors point out that the numbers and prices in the table should not guide your decision, since all cost factors may look quite different in your country and for your company. Obviously any personnel reduction shows a very high effect on the overall costs in the developed countries indicated with (70 €), however investment has a low influence. Regarding developing countries investment costs are of greater importance and may influence the overall costs significantly. The last comparison of cost-effectiveness is valid for huge data amounts. Here, a comparison among point-wise techniques, static and kinematic spatial data acquisition is realized. One has to take into account that kinematic acquisition can only be realized by experts who have to be paid for the job. This means that investment costs, personnel costs as well as assignment costs need to be compared to each other. For this case the comparison has to take the time into account, since e.g. TLS or Mobile Mapping are fast data acquisition techniques in the field, but require a lot of work in post-processing. In general, one assumes a factor of five between data acquisition and post-processing for TLS. Also these figures are very subjective. Table 3 gives a rough estimation for a street of 500 m length including the acquisition of the facades. All costs are determined for the time needed. For fieldwork the different sensors show the following performance: robotic total station 8 days, TLS 2 day, Mobile Mapping 1 hour. In the office the post processing may be: robotic total station 1 day, TLS 5 days, Mobile Mapping 5 days. The investment costs base on the following figures: robotic station 30 000 € and TLS 100 000 €. The investment costs are calculated for the time period during which data acquisition is carried through (8 or 2 days). This presumes that the instrument is really in use all day and all year. The authors know that this assumption is optimistic and has to be adapted according to the company. The surprising result of this table is the fact that a TLS is more effective than a total station if huge amounts of data are acquired and the instrument is in use every day. This result is achieved despite the much higher investment costs. This is valid for developed as well as for developing countries. Using the assumed costs introduced in this table, Mobile Mapping would be the most expensive method, but it would be the fastest, since an expert is realising everything in a short time period. Please keep in mind that all the cost figures are subjective, especially the mobile mapping figures are not based on real experience. This contribution presented the well-known positioning techniques and showed some new technical developments especially with respect to area-wise and spatial data acquisition. Different accuracy levels and application fields were presented, too. On the other hand the importance of reference frames and positional infrastructure could be highlighted. Additionally, it could be shown that these infrastructures may even help to be more cost-effective. Finally, a first approach was presented regarding decision tables based on accuracy as requirement and overall cost as output. Other requirements as time or reliability could be chosen and need another decision base. The exact personnel and investment costs need to be known for a decision. This work has to be carried out by each individual surveyor in a company or in an office. The development of general, detailed and more sophisticated tables is the future work to be focused on. Deumlich, F., Staiger, R. (2002): Instrumentenkunde der Vermessungstechnik. Wichmann Verlag, Heidelberg. Rödelsperger, C. (2011): Real-time Processing of Ground Based Synthetic Aperture Radar (GB-SAR) Measurements. Deutsche Geodätische Kommission, Reihe C, No 668, München, Germany. Schwieger, V. (2012): Challenges of Kinematic Measurements. FIG Working Week, Rome, Italy, 06.-10.05.2012. Schwieger, V. (2007): Positioning within the GSM Network. Proceedings on 6th FIG Regional Conference, San Jose, Costa Rica, 12.-15.11.2007. Schwieger, V., Lilje, M., Sarib, R. (2009): GNSS CORS – Reference Frames and Services. 7th FIG Regional Conference, Hanoi, Vietnam, 19.-22.10.2009. Seeber, G. (2003): Satellite Geodesy. Walter de Gruyter, Berlin. Staiger, R. (2003): Terrestrial Laser Scanning: Technology, Systems and Applications. 2nd FIG Regional Conference, Marrakech, Morocco, December 2-5, 2003. Weston, N.D., Schwieger, V. (2010): Cost Effective GNSS Positioning Techniques. FIG Publication No 49, FIG Commission 5 Publication. The International Federation of Surveyors, Copenhagen, Denmark, 2010. Wirola, L. (2008): High-accuracy Positioning for the Mass Market. FIG Working Week 2008, Stockholm, Sweden, 14.-19.2008. Zhang, L., Stange, M., Schwieger, V. (2012): Automatic Low-cost GPS Monitoring System using WLAN Communication. FIG Working Week, Rome, Italy, 06.-10.05.2012. Zhang, L., Schwieger, V. (2013): Investigation regarding Different Antennas Combined with Low-cost Receiver, FIG Working Week, Abuja, Nigeria, 06.-10.05.2013. Mr. Lilje is the Head of the Geodetic Research Department at Lantmäteriet (the Swedish mapping, cadastral and land registration authority). He graduated with a M.Sc. with emphasis on geodesy and photogrammetry from the Royal Institute of Technology (Stockholm, Sweden) in 1993. 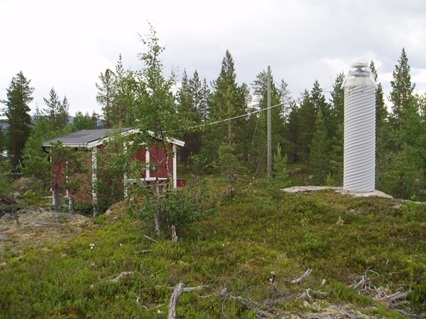 He has been working at Lantmäteriet since 1994, mainly at the Geodetic Research Department. He is the chair of FIG Commission 5 during the period 2011 and 2014 as well as member of the Presidium of the Nordic Commission on Geodesy and the national member to the Euro-SDR.